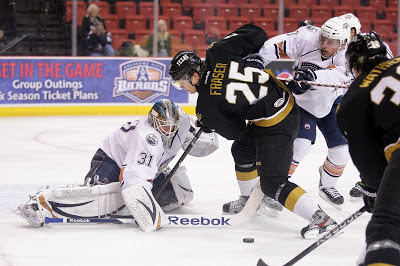 Texas dropped a 4-2 decision to the OKC Barons on Sunday. It was the fourth time in seven games that the Stars pulled their starting goalie in favor of that night's backup. In each of those games that I've been able to view, the difference has been shot quality and letting in the "easy ones". Either the Stars weren't playing well enough defensively in front of the goal, allowing very difficult shots in that never should have been taken or could have been blocked, or Texas goalies allowed simple shots to beat them. Two of Nilstorp's goals against on Sunday were on slapshots with zero traffic. The Texas Stars had the edge in shots on goal, but two power play goals from rookie defenseman Justin Schultz was the difference as the Oklahoma City Barons earned a 4-2 win Sunday afternoon at Cox Convention Center. The Barons opened the scoring at 7:31 of the first period as they caught the Stars in the middle of a line change. Dane Byers took a long pass into the offensive on a partial breakaway and unleashed a powerful slap shot from the top of the left faceoff circle that beat goaltender Cristopher Nilstorp to the far right post. Texas answered back 93 seconds later as Francis Wathier stole a clearing pass in the offensive zone and found Matt Fraser for a one-timer at 9:03; Fraser’s first of the season. Taylor Vause took the game’s first penalty, a tripping call at 11:04, and exactly one minute later Barons’ defenseman Justin Schultz shot from the point took several deflections before finding a way to tuck inside the right post. The power play goal gave the hosts a 2-1 after one period of play. Anti Tyrvainen scored at 2:24 of the second period, sending a slap shot from the left half-wall off the inside of the right post for a 3-1 Oklahoma City lead. After Tyrvainen’s goal Texas replaced Nilstorp in goal with backup Jack Campbell. The Stars rallied again, drawing back to within one as Antoine Roussel sent a clever backhand pass from behind the net to Cody Eakin for a one-timer just above the top of the crease. The goal was Eakin’s fourth of the year and it was assisted by Roussel and Tomas Vincour at 5:51. The Barons regained their two-goal lead at 13:06 with another power play goal from Schultz, his second of the game, and they carried a 4-2 lead into the third period. 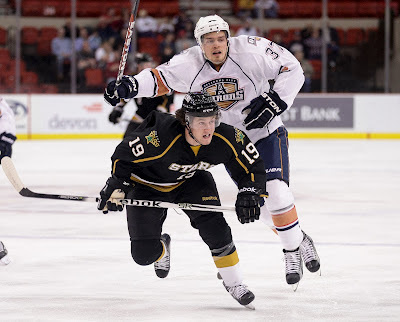 Texas mounted a fierce effort to try to comeback in the third period as they out-shot their hosts 14-2 in the final twenty minutes of play, but goaltender Olivier Roy kept the Stars at bay and helped the Barons hang on for the victory. Roy finished the game with 27 saves on 29 shots to record his second win of the year in goal for Oklahoma City. Texas starter Cristopher Nilstorp took the loss, stopping 9-of-12 shots faced in the first 22:24 of action; Jack Campbell had 6 saves on 7 shots over the final 35:46 in relief. The Stars out-shot the Barons 29-19 in the game and went 0-for-2 on the power play; Oklahoma City was 2-for-4 with man-advantage. Alex Chiasson was out with the flu again. Scott Glennie out again for the seventh game. UPDATE: Stars expect Scott Glennie to play in his first game of the season this evening. Les Jackson told Stars Inside Edge that it was a conditioning issue, "He wasn’t ready to go, so in fairness to him and the other players he stayed out until he was ready to go." The Stars face off against unfortunately infrequent visitors to the Cedar Park Center, the Milwaukee Admirals, this evening. Unfortunately infrequent because games against the Admirals are always a spirited affair. In the first two seasons, games with Milwaukee were almost always one-goal games or shootouts. Mark Dekanich, Jeremy Smith, Brent Krahn, Matt Climie, and Richard Bachman combined for some of the best goalie play that Texas Stars fans have ever seen in these previous series. So far this season, Milwaukee has played in all one-goal games, if that's any indication of tonight. So what's the book on Milwaukee this season? Bad news for Texas is that Jeremy Smith is back and just as good as ever. Despite a 1-2 record, he is the undisputed #1 on the team. His 2.37 GAA and 0.891SV% are certainly far better than either of the Texas Stars tenders. Also back to bother from previous years are forwards Michael Latta, Gabriel Bourque and Chris Mueller. (Bourque is injured and won't play this week.) Added to that lineup are Patrick Cehlin (3-0-3 in 4 GP) and Mattias Ekholm (2-2-4 in 4 GP). Special teams work was needed and was done this week in practice. The Stars are #25 (9.5%) on the PP and last on the PK (60%). The Admirals are #11 (23.8%) on the PP and #7 on the PK (88.2%). The Stars are 6-2-1-0 against Milwaukee at home and 12-5-1-0 all time. Here's a recap of Milwaukee's weekend games to read over as well. It's not quite officially released yet, but the AHL transaction wire lists and the Texas Stars confirm the transfers of forwards Mathieu Tousignant and Austin Smith to the ECHL's Idaho Steelheads this morning. Both forwards have only factored into a single game for the Stars this season. Each spent time of the fourth line, but apparently didn't make enough of an impression to demand a repeat performance. As previously documented in this space, Austin Smith has been struggling in the one main department that was his calling card in the NCAA: goal scoring. Without a professional tally, Smith has to be feeling a little out of sorts. While heading to the ECHL is obviously not the plan that Smith envisioned for his first pro season, he will gain confidence in the pro game there and hopefully come back to Texas in due time with his scoring ways in tow. As to Tousignant, he really seemed to be having quite a camp. He was agitating as usual and involved in the play as well. 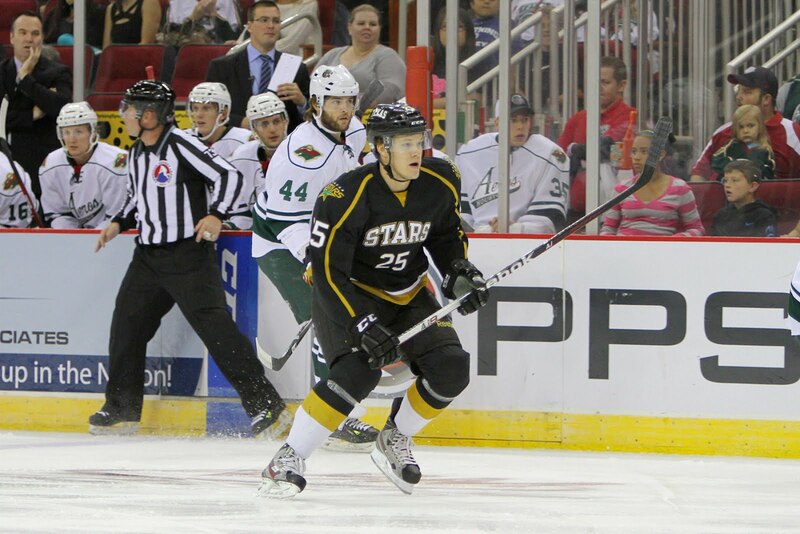 However, after one game in San Antonio, which most Stars fans were unable to see, he has not returned to the lineup. Tousignant spent time in Boise in 2009-10, scoring six goals and eleven assists in twenty games. He had one goal and two assists in thirteen playoff games as well. 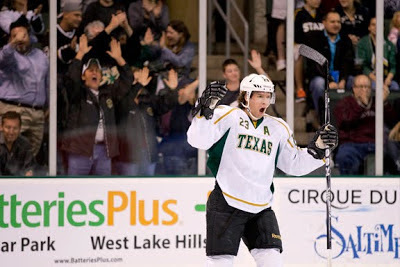 Last season, the Texas Stars scored 224 goals. One in six came off the stick of then-rookie Matt Fraser, whose line with Travis Morin and rotating partners including Ray Sawada and Mike Hedden was an offensive powerhouse throughout the season. After being outscored 14-4 in the weekend three-in-three, the question has to be asked: where is that offense this season? The league has obviously noticed Fraser's scoring prowess. Is he a 'marked man'? "I don't think I'll be able to comment [on being a marked man]," said Fraser before the season. "The challenge is there. The good NHL players find a way to put the puck in the net whether they're a marked guy or not. That's obviously the end goal." Fraser and Morin have been paired up again and often with Mike Hedden in the early going of the season. The lineup seems obvious. Hedden is a grinder who can score and skate as well. Morin is an effective distributor of the puck, and Fraser has a solid shot that he used to great effect last season. However, Fraser and Morin, when combined with Sawada in the early going had one of the worst plus-minuses of the team. Fraser was all too aware of the challenge of being defensively responsible: "The plus-minus was an area I'd like to improve on. To be a consistent player in the NHL, you have to be as good defensively as you are offensively. I know a lot of people take stock in that, and there's no one harder on myself than me on that stuff." So far this season, Fraser has been held to zero points in five games. To this point last season, he was 4-2-6 with a minus-1 rating. This season he has a minus-3 rating, all accumulated this past weekend. Unfortunately, the AHL does not publish statistics regarding ice time. If they did, it would be interesting to see if Fraser's ice time has dipped due to the lockout pushing Vincour and Eakin to the AHL. The lineup of Vincour-Eakin-R. Smith has supplanted the Morin-Fraser group on the 'top line', meaning that more premium minutes go in their direction. Perhaps we can consult a proxy for the data. To this point in the 2011-2 season, Fraser had 27 shots and Morin had 19. Through the first five games of this season, Fraser has just 13 shots and was held without a shot on net in the Lake Erie game. Travis Morin has 14 shots on net, aided by a six shot night against Charlotte. There is no question that Cody Eakin and Tomas Vincour give Texas a chance to score every time they go over the boards. However, their addition means that Fraser and Morin have to work that much harder to make the ice time that they do have available count on the scoresheet. Coming into the season, Lake Erie had to be looking at their first four games wondering what they'd done to anger the AHL schedule makers. Three of the first four against predicted juggernaut OKC and the fourth against defending Western Conference champion Toronto. And yet, they come to Texas with a 3-1 record. It may be some combination of those teams not performing up to expectations, but at the same time, the Monsters are legit so far this season. Thanks to the lockout, back again is forward Mark Olver. Also back is Tyson Barrie, who represented Lake Erie at last year's All-Star game and has come out of the gate flying this season. Barrie, a defenseman, has three goals and two assist in just four games, paired with a plus-4 rating. Also clicking in at a point per game or better are European Thomas Pock (2-3-5), rookie Boston College product Paul Carey (1-3-4), and the aforementioned Olver. Also of note on the roster is former teammate of Jamie Oleksiak, Niagara IceDogs product Andrew Agozzino. Agozzino was undrafted but finished his career in Niagara with 306 points in 318 regular season games and 47 in 50 playoff games. The forward is much smaller than his former teammate Oleksiak, coming in at 5'6". That may have kept many away at draft time as size is so highly valued in today's NHL. Regardless, the Monsters picked him up on a standard player contract. He has two goals and an assist in four games, including a game winner in Lake Erie's season opener. Among the bad news for Texas about this squad is that they dissected the OKC Barons last night with a 3/4 effort on the power play. Losing by a similar 5-3 score, OKC let the Monsters back into the game in the third after leading 3-2 at the second intermission. All three power play goals were in the final frame. Killing penalties is a lot easier when there are fewer of them, so Texas will have to stay out of the box more on Sunday. Texas can avoid dipping below .500 with a win. 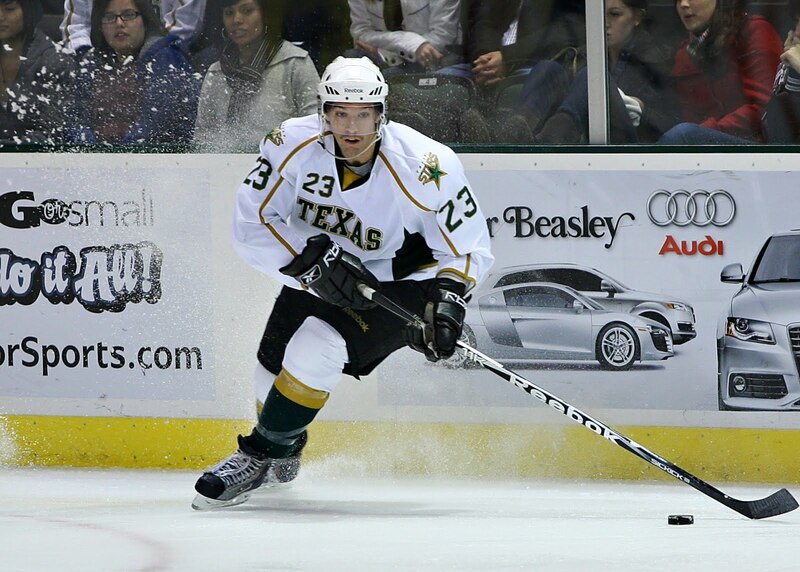 Texas dropped to 2-2 on the season with 5-3 loss to the visiting Houston Aeros tonight. For the second night in a row, Texas took too many ill-advised penalties and it ended up costing them on the score sheet. Houston had three power play goals on the night. "They scored on their opportunities," said Coach Desjardins. "It's a game of inches. We were just slow tonight." Despite only losing the shots battle 31-27, Texas's shows weren't finding the net like Houston's. "We tried to be cute and force plays and had a few too many turnovers," said forward Cody Eakin, who scored shorthanded in the third. "We want to cuase traffic and a lot of the shots we weren't doing that." Jack Campbell took the loss with four goals on 12 shots. Cristopher Nilstorp came in to relieve with 18 saves on 19 shots. The Stars let an early one by the start the game. Nick Palmieri had the goal off a point shot by Drew Bagnall. 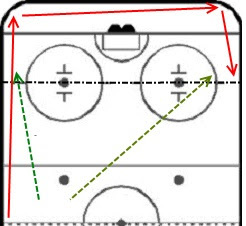 The play generated off a miscue by Tyler Sloan, failing to take control of the puck below the red line and clear the zone. Texas got it back three minutes later as a hard-charging Tomas Vincour scored five-hole on Kuemper coming from behind the net. Only 61 seconds later, Mikael Granlund scored his first of the year for Houston after winning a puck battle with the Stars' defense. The second period was where things got out of control. With the Stars killing a Reilly Smith hooking minor, Francis Wathier took an interference penalty. Houston went 6-on-4 as Texas struggled to control the puck. With one second remaining in Smith's minor, Houston scored off the stick of Palmieri. Wathier's penalty still needed to be served in its entirety. Houston also scored on that power play to set the score at 4-1 and end Jack Campbell's night. "We had 10 shots against," said Desjardins. "Sometimes it's not the goaltender's fault; you just need a change to get momentum." With Nilstorp in net, the Stars set out to claim that momentum, earning a power play in the fourth minute of the period. Jordie Benn's point shot was tipped by Travis Morin to set the deficit at 4-2 for Texas. The goal was Morin's first of the year. Houston reclaimed their three goal lead before the end of the period, again on the power play. Kris Foucault was left all alone on the backdoor and roofed one past Nilstorp for the 5-2 lead. Penalties were definitely a stroyline for Texas, even though the club only gave up four power plays. Houston was 3/4 on those opportunities. Eakin added, "Our game plan is four [penalties] a game per less. When you aren't moving your feet, that happens." The Stars would add a third, but ultimately inconsequential, goal in the final minute of the game. Cody Eakin broke in shorthanded with Brenden Dillon and Vincour, finding twine for his third goal of the year and second shorty. Fraser, Chiasson, and Vause double shifted tonight. "Tyler Sloan's a good player for us and we needed to get him into the lineup." Texas will try to shake off last night's 5-1 loss as the two squads face off again tonight, this time in Cedar Park. Last night's game spoke directly to the heart of the AHL. It was a night for rookies, both in good and bad ways. Rookies Charlie Coyle, Zack Phillips and Alex Chiasson all had goals in the game. On the other hand, three rookie errors led directly to Houston goals. Oleksiak and Nemeth's defensive pairing got caught at the blue line for the 3rd goal and Oleksiak gave away the puck directly to Phillips for the 4th. The fifth goal against was immediately off a faceoff in the final minute with Alex Chiasson in the box for a slashing call clearly taken out of frustration. Texas, in the past, has had a roster that skewed more to the veteran side of things. The club has never had this many pure rookies on the roster in its four years. That means two things. First, it means that many of these dynamic players are going to have amazing nights and could potentially put up numbers that will blow away previous records. Second, it means there will be some growing pains on team defense for sure. Coach Willie Desjardins is used to molding young minds though, as he did just that with 16 year olds in the WHL for many years. In summary, last night was no reason to panic. The season is not going down the tubes. Some nights, all the bad shows up and none of the good. You have to take both at the beginning in hopes that the good outweighs the bad by the time the stretch run comes. Otherwise, previous rotations suggest that Jack Campbell will get tonight's start, especially after the rough outing that Nilstorp had last night. Something to watch for: will Scott Glennie play his first game of the season? 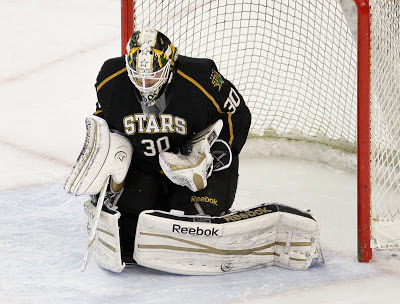 Austin Smith rotated in last night and the Stars lost. That wasn't Smith's fault, but coaches are a superstitious bunch, so I wouldn't be surprised if Austin Smith came out in favor of any of the remaining forwards: Vause, Tousignant or Glennie. Remember that Texas won its first two with Tousignant and Vause in the lineup, respectively. 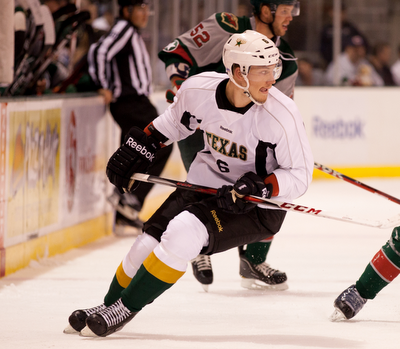 Texas fell to the Houston Aeros by a 4-1 mark in their first of twelve meetings on the season. Texas was down 2-0 at the first intermission on goals from dynamic rookie Charlie Coyle and veteran captain Drew Bagnall. The Stars managed to cut the deficit to 2-1 with Alex Chiasson's first of the year. Rookie mistakes from Jamie Oleksiak and Patrik Nemeth made the lead insurmountable as two goals were scored against that line in the third period to make it 4-1. Houston added a fifth with a power play goal in the final minute. Cristopher Nilstorp had 25 saves on 30 shots against. Houston's two goal first period started with Charlie Coyle's second goal of the season. Drew Bagnall, Houston's captain, had the initial shot, and Coyle picked up the rebound to beat Cristopher Nilstorp just under five minutes into the game. To that point, Houston had an 8-1 shots advantage. Texas alternate captain Jordie Benn took one the few penalties in the game toward the end of the first, allowing Marco Scandella to score his first of the year on ensuing man-advantage. 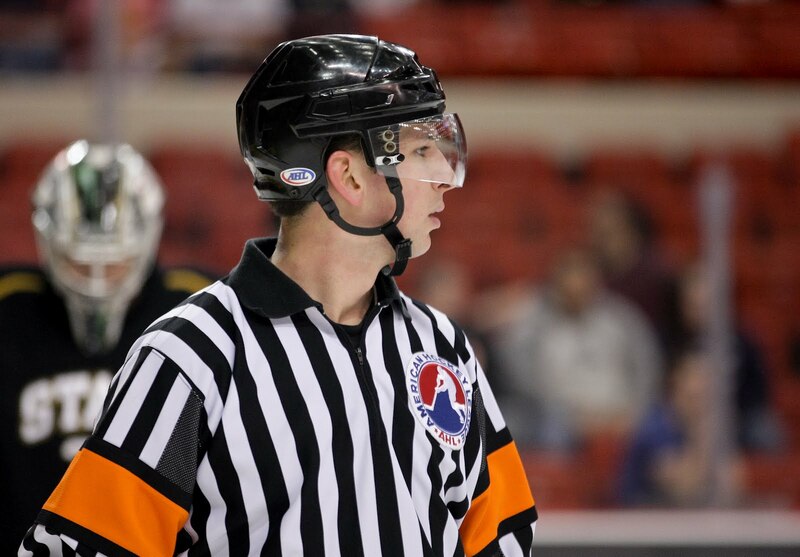 The goal light came on but referee Jeff Smith called it a no-goal on the ice. The goal went up for review, a season first for the Stars. Smith decided the puck had crossed the line, putting Houston up two goals. Texas was outshot in the period 14-8. The second period was a scoreless affair, but Texas managed to establish some momentum by killing a four-minute high-sticking minor on Antoine Roussel at the fourteen minute mark of the period. Texas outshot Houston 8-6 in the period despite the extended PK, thanks to several shorthanded chances. Early in the third period, Alex Chiasson cut the deficit to just a single goal with assists from Francis Wathier and Jamie Oleksiak. Just a few minutes later, Oleksiak and rookie defensive partner Patrik Nemeth would let Jarod Palmer and David McIntyre in alone behind them for an easy 2-on-0 goal by McIntyre. Oleksiak had a give away with five minutes left in the third to set the score at 4-1 Houston. Zack Phillips broke in alone for his first professional goal. With a combined four AHL games between Oleksiak and Nemeth before tonight, it may be a better play to set them on different lines until they mature just a bit more. Alex Chiasson took a penalty in the final minute of the period and Houston took advantage immediately off the faceoff to make it a 5-1 final. After an unblemished first weekend of the season, Texas will go to its second weekend with a three-in-three on the docket. Luckily, this one will put the Stars in the state of Texas for all three games and home at the Cedar Park Center for two of the three. The weekend starts tonight with a visit to the Toyota Center to take on the winless Houston Aeros. Interestingly, Houston and Texas have both played the exact same two teams en route to their divergent records. Stars fans should not look at the 0-2 record of the Aeros and expect an easy game, however. Houston is a very talented team. New players to watch for include Charlie Coyle, Jason Zucker and Mikael Granlund. Charlie Coyle, on defense in number 3, already has a goal and an assist in two games of action with Houston. He had a ridiculous 34 points in just 17 QMJHL playoffs games last season with the Saint John Sea Dogs. He was a 2010 first round draft pick of the San Jose Sharks but was traded to the Wild in the summer of 2011. Jason Zucker in the #16 sweater is tied with Coyle for the team lead in points. Zucker was also a 2010 draft pick, along with Coyle and the Stars' Jack Campbell. Zucker and Campbell played together on the U18 and U20 World Junior Championship teams, winning gold in both tournaments. 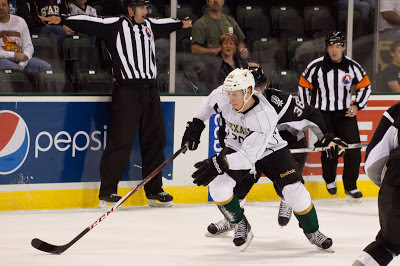 Finally, Mikael Granlund is the "big" prospect to watch. Drafted just two spots above Jack Campbell, Granlund has been a YouTube sensation and the toast of the SM-liiga for the past four years. Perhaps most famous for his lacrosse style goal in the IIHF World Championship, Granlund has yet to pot a professional goal in North America. Wearing #64, he was named the Finnish Ice Hockey Player of the Year for 2011 and is a very special player. Texas will continue with a similar lineup as last weekend, surely. The only questions will be on who, of the last six, gets the scratch. I imagine Scott Glennie and Austin Smith will factor into these games this weekend. Then again, it is hard to take out players who have been successful. It is possible that vet Luke Gazdic even takes a seat this weekend. It's unclear if he's showing enough to keep himself in the lineup. Texas has a 7-8-1-2 record all-time at the Toyota Center. I had the opportunity to sit down for an extended interview with the Texas Stars General Manager and Dallas Stars Director of Minor League Operations, Scott White. This is the second in a multi-part article about his history, time with the Stars and the role of an AHL GM. You can read part 1 here. In Part 2, we’ll discuss the lessons learned in the losing season, the role of an AHL GM and hopes for the future. After a fantastic first season and a solid second season, the Stars suffered their first losing season in Texas, finishing second to last in the league and last in the conference. While it may seem that the 2011-12 season was a lost one for the Texas Stars, White believes that the players develop win or lose. While the GM certainly would have preferred a playoff berth, he acknowledged the silver lining: Jack Campbell and Austin Smith would never had played the valuable minutes they did if the Stars were in the thick of a playoff run. His biggest lesson learned from the losing season was found between the pipes. On the topic of the ECHL, White is an adamant believer in the value of the league, being a product of it as a player, coach and GM. Having an affiliate you can trust is a huge part of it, and Idaho has the GM’s seal of approval. White expects to send more players to Idaho this season with the lockout pushing NHL-ready players to the AHL. Meanwhile, Texas is also affiliated with the Allen Americans of the Central Hockey League. 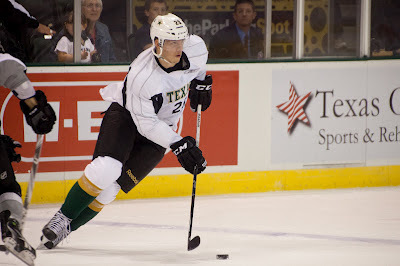 Sending players to the Metroplex for development has been less common for the Texas Stars, but callups have been frequent. With the CHL membership dwindling over the summer, there have been some rumours of a merger between the ECHL and CHL similar to the merger of the AHL and IHL. White feels the Stars would obviously have to discuss the relationships with Allen and Idaho in the case of such a merger, but they are very happy with how they stand today. Next to GM and director of minor league operations on his crowded business card, Scott White also has the title of professional scout. 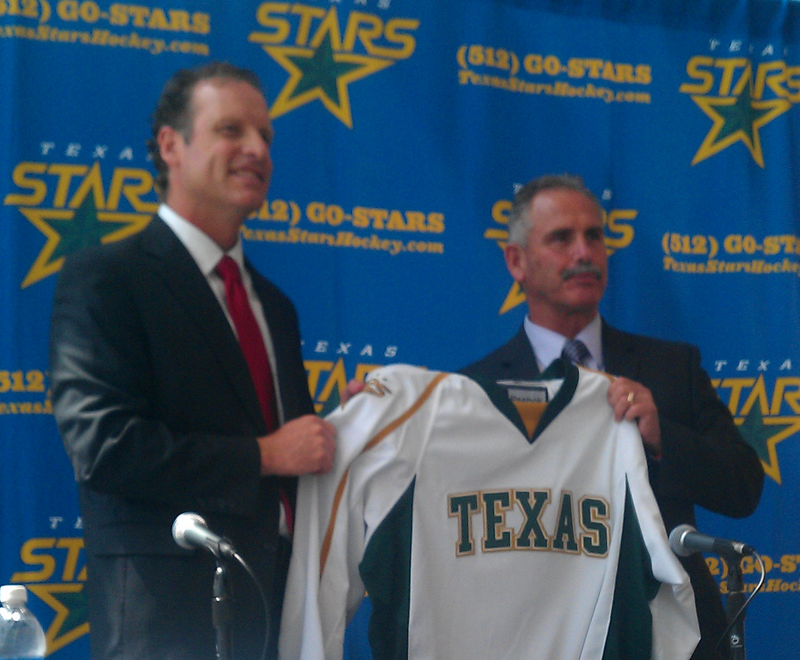 He estimates that he sees 170 hockey games live each year, including Texas Stars games. His responsibilities include several NHL clubs and their AHL affiliates and some NCAA duty. 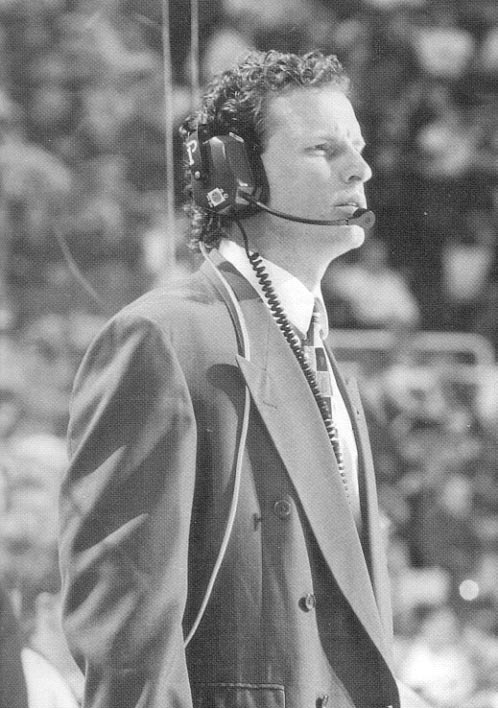 On the topic of process, White is also responsible for a lot of day-to-day administrative work as the season starts but will be able to transition some of that off to assistant coach Doug Lidster once the season gets rolling. ECHL GMs are often tasked with travel coordination and immigration for players, but luckily there is a support staff for that in Dallas for the AHL GM. Asked about what his best moment was as GM for Texas, White had a two-pronged response. Obviously the trip to the finals in the first year was a big success, but he pointed to another more common experience as still being awe-inspring. While there may not be any Texas Stars going to the show for the foreseeable future this season, White has high hopes for the AHL club overall. Before thoughts on the weekend, just a quick note that Hubert Labrie has been assigned to the Idaho Steelheads today. He will travel with the team to Colorado for their game against the Eagles Wednesday night. Goaltending was solid this weekend. Nilstorp was a minute away from a shutout and Jack Campbell should have earned a star for his performance in Sunday's game, despite three goals against. In general, it looks like the compete level in net will be high between these two tenders, something that raises the overall play of both. Remember when Krahn and Climie were both vying for starts in season one? 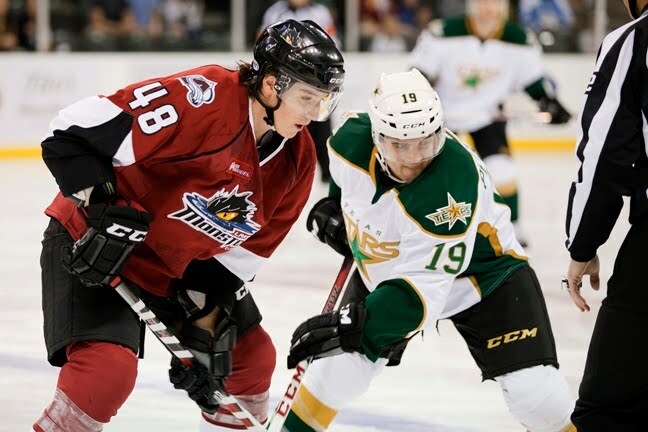 Both were legit AHL starters trying to prove their worth, and that's what Texas has again this season. Cam Barker did have the goal that started the comeback on Sunday, but he also took some poorly timed penalties in the game as well. Obviously, having him on point on the power play is the right call as well. He had a good movement out there and a great shot. Cody Eakin was special this weekend for Texas, picking up three points and a plus-3 rating overall in two games. The shot he took to tie things up shorthanded in the Charlotte game was a wicked snipe. If he plays like that on a consistent basis, the Stars just might have a goal scorer to give Matt Fraser a run for his money. Matt Fraser had no points with seven shots on goal this weekend. The team's leading goal scorer from last year is probably feeling pressure to produce just within himself. He had an opportunity in the Charlotte game to pair with Travis Morin and Mike Hedden, two players he played with last season as well. That should raise his comfort level and the goals will come in time. Slighty lighter crowd (5,072) than in previous home opener years, which both broke 6200. The crowd was raucous anyways, and the players noticed. Taylor Vause factored into the second game on the weekend and had a really great showing. He was strong on the forecheck and seemed to be in the right places. Coach Desjardins clearly showed his confidence in the young forward by placing him in the shootout lineup. Vause is making it very hard for Desjardins to scratch him this weekend with his play. Texas needed more than the standard sixty to do it but managed to set their home opener record at 4-0 with a 4-3 shootout victory over the Charlotte Checkers tonight in Cedar Park. The Stars were down 3-1 in the third period after two power play goals from the Checkers but clawed back with two in the period. "We traded chances and there were ups and downs," said Stars forward Cody Eakin, who had two goals in the game. "We just didn't give up." "Eakin played well," said Coach Desjardins. "It's one thing to play well when you're fresh, but he was tired on a lot of his shifts. He was great." Jack Campbell was similarly excellent, keeping the Stars in it during the overtime period and stopping eight of nine in the shootout. "He's a money goaltender," added Desjardins. Texas seemingly had all the momentum in the first period, getting two late power plays and seemingly doing everything right except put the puck in the net. That momentum went away in the second when a whiffed pass by Jordie Benn allowed Zach Boychuk to break in alone for the 1-0 lead. Cody Eakin would even things up before the end of the second with his first goal as a Star. Reilly Smith and Tomas Vincour deserve a lot of credit for the play, dishing the puck to Eakin, who was alone in front. "It was pretty easy [to play with Vincour and Smith]," said Eakin. "We found chemistry early." "We had a really good second, putting up a lot of shots," added Desjardins. The wheels came off a bit in the third as a series of penalties put Texas on the PK repeatedly. Riley Nash squeaked one past Campbell at 1:43 of the third. It looked like the Texas tender had the puck sealed up but the referee's vehement gesticulating told the true story. Bobby Sanguenetti added a third for the Checkers just two minutes later, again on the power play. Down 3-1, Texas drew a brief 5-on-3 power play, allowing Cam Barker to score his first as a Star, booming one from the point to beat Dan Ellis clean. Texas completed the comeback on the penalty kill as Cody Eakin again found twine, this time shorthanded, beating Ellis on a wrister from the left wing circle. "This group of guys is young and hungry and can skate," said Eakin. "We don't quit and we're relentless. We make teams turn it over in the third, because we pressure them and wear them down." The Stars took things to overtime and Jack Campbell absorbed four shots to Texas's zero, taking the game to a shootout. Nine rounds were needed to decide the matter with Texas putting up Eakin, Matt Fraser, Tomas Vincour, Mike Hedden, Reilly Smith, Francis Wathier, Taylor Vause, Travis Morin and Jordie Benn. Fraser scored but the score was immediately tied with a tally by Jerome Samson. Jordie Benn found the net in the ninth round and Jack Campbell stopped Sanguenetti with a flourish to set Texas's record at 2-0. The only other time Texas started the season 2-0 was 2010-11. Coach Desjardins on playing Nemeth and Oleksiak together: "Nemeth and Oleksiak are both good players. Both with world juniors experience and Nemeth with experience in the SEL." Coach Desjardins on scratching Austin Smith and Scott Glennie this evening: "It's nothing really. Both guys are ready, they can play and they will play. When you win and you have a guy in the lineup, you tend to come back to him." Hockey's back. Texas will welcome the Charlotte Checkers to the newly-minted South Division and open up the Cedar Park Center for a fourth year of AHL hockey this evening at 7:00 PM. Charlotte and Texas each help one of the other Texas teams open up their seasons last night. 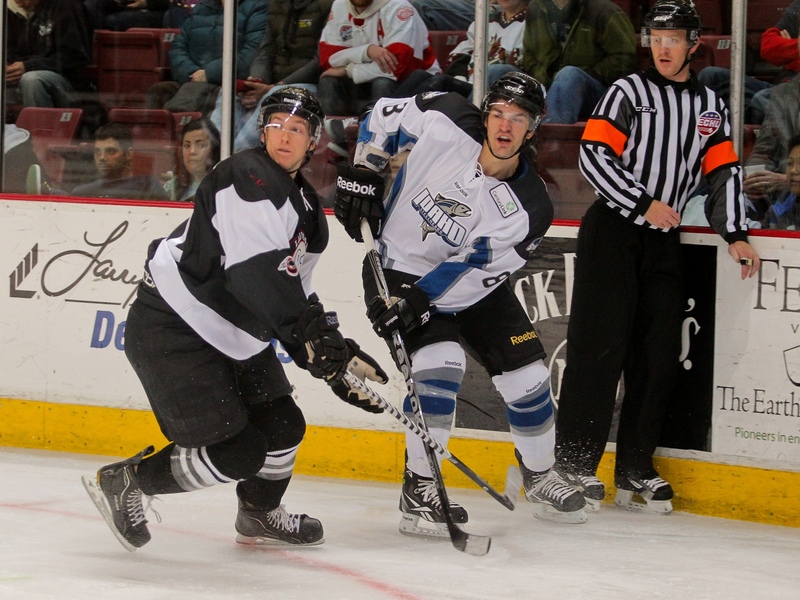 Texas defeated the Rampage in San Antonio by a 2-1 mark. Charlotte was equally stingy, beating Houston 3-1 at the Toyota Center. One of the "big guys" that was discussed on the Charlotte roster was Jeff Skinner. However, Skinner is eligible play but has not reported to the AHL club yet. The NHL team has approved this decision and it is entirely unclear why Skinner has not reported. Regardless, Justin Faulk is in Charlotte and had two assists in last night's win. The Checkers, much like Texas and Cam Barker, had an unexpected PTO in former Stars goalie Dan Ellis. 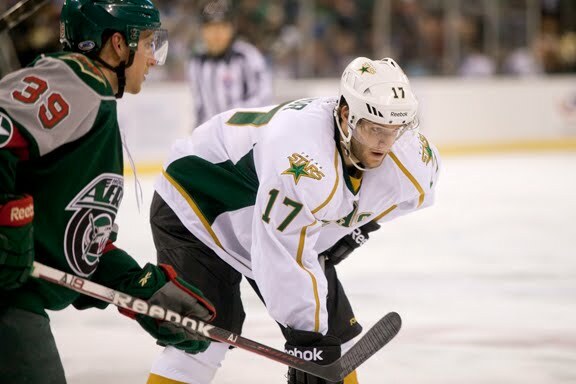 Ellis, who spent time in Nashville, Tampa Bay and Anaheim, started his career with the Dallas Stars, playing for the Iowa Stars and Idaho Steelheads. Ellis did not get the start on Saturday and could play tonight. For comparison, some of the Stars that Ellis played with who are still in the system include Francis Wathier, Toby Petersen, Mark Fistric, Trevor Daley and Loui Eriksson. Texas will look to improve their power play percentage. The Stars had no trouble drawing penalties in the first game or the preseason, drawing 32 total man-advantages over the four games. After going 8/24 in the preseason, there was a power outage in San Antonio. Two first period goals were all the Stars needed to start the Willie Desjardins era off with a "W". Cristopher Nilstorp had a win in his first North American game with an 18 save effort. Goals from the Stars captain Maxime Fortunus and wily veteran Toby Petersen won the night for Texas. The Stars had eight power play opportunities in the game and came up empty on all eight after going 8/24 in the preseason. The captain, Maxime Fortunus, opened up the scoring in the first period with a goal through traffic at the 4:49 mark of the frame. Cody Eakin had his first point as a Star, assisting on the play. Another veteran, Toby Petersen, added his own first tally of the season with four minutes left in the first period. Again through traffic, Dov Grumet-Morris didn't have a chance on the goal, assisted by Jordie Benn. Penalty trouble haunted the Rampage in the second and third periods. Shots were 12-5 thanks to three Texas power plays in the period. The Stars were unable to take advantage of any of the three opportunities. It wasn't for lack of trying, as Tomas Vincour had 6 shots through the first forty, adding a seventh as the third started. The Stars had a fair bit of power play time in the third period as well, with Eric Selleck railroaded Luke Gazdic at 6:28 of the third period. Selleck was assessed a five minute major and a game misconduct for the hit. However, Texas was unable to score on the ensuing major penalty power play. Despite an added minor for interference, taking it to a 5-on-3 power play, the Stars could not find the back of the net. An eighth power play opportunity also came up short with Dov Grumet-Morris having a great game. The Stars had a scare at the end of the game as Drew Shore broke up the shutout bid and made it a one-goal game with 56 seconds left in the game. The goal came on the 6-on-4 PP. Jordie Benn took a penalty with 6.9 seconds left to make it interesting, but the win stood. After last season's 0-3 preseason, this week's three straight preseason victories were a positive sign. The Stars finished off the preseason schedule in suburban San Antonio with a 3-0 win over the host Rampage. Texas has outscored their opponents 14-3 in the preseason. The power play was another bright spot, contributing two of the three goals. Texas is eight for twenty-four in the preseason. Luke Gazdic, Mike Hedden and Austin Smith potted goals as Cristopher Nilstorp and Jack Campbell combined for a shutout. The Stars led shots 21-17. Luke Gazdic opened the scoring in the first, tipping a shot from Mathieu Tousignant past starting tender Jacob Markstrom. Antoine Roussel assisted on the goal by the gritty trio. Another early goal in the second period, this time from Mike Hedden, made the score 2-0. Just 62 seconds in, Hedden found twine on the power play, assisted by Chiasson and Oleksiak. The point was Oleksiak's first of the preseason. The third period added another for the Stars as Austin Smith potted his first professional goal, albeit a preseason empty-netter. Taylor Vause had his second assist in as many games. Oleksiak had his second assist of the game on the play. Cristopher Nilstorp had 10 saves and Jack Campbell seven in the split effort. Scott Howes and Jordan Hill were released before the game today. 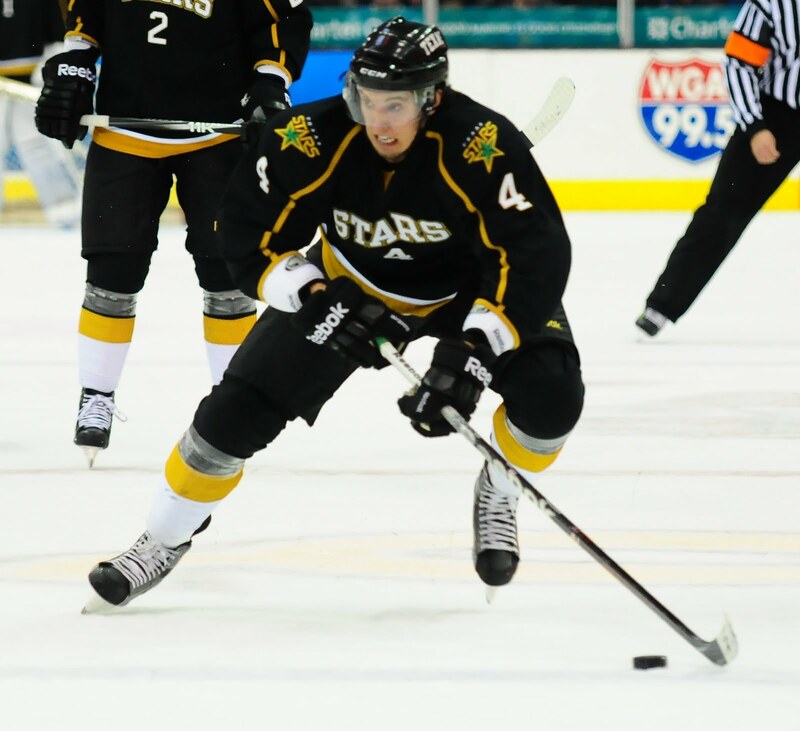 Josh Robinson was assigned to ECHL Idaho. Today's attendance was not announced. Another preseason meeting of the I-35 rivalry today for the Texas Stars and San Antonio Rampage, this time in the Alamo City. Last night's game was a better compare than Wednesday's game, but it still seemed like Texas was playing a higher percentage of players expected to make the roster than San Antonio. Today may be a little different in that regard. So far on the preseason, the power play is the story. Going 6 for 15 in two games is approaching the efficiency Texas had at the start of last year under Coach Pyle, known for his PP. The difference so far this preseason is that the defense and goaltending has matched that play. Only three goals have been scored against Texas this preseason, as opposed to eleven goals for. Coach Desjardins expects to play both Jack Campbell and Cristopher Nilstorp in net today. That almost certainly seals the fate of Tyler Beskorowany. He will likely be sent down to the ECHL as early as Sunday. Josh Robinson will also go with him, possibly before. Toby Petersen is likely questionable for this game as he left last night's game in the third period after being hit. Coach Desjardins said he was likely "shook up" but couldn't offer more specifics. Petersen has already played in the first two preseason games, so there is likely no reason to put him in if there are any concerns at all about his condition. I imagine he would stay at home. After a full night of DGM in Cedar Park, San Antonio should be starting Jacob Markstrom today and swapping in Brian Foster at some point during the game. A solid Texas power play and stout goaltending again led to a win for the Stars tonight in Cedar Park. Texas scored two power play goals on eight opportunities. "We had a number of power play advantages and that helps," said Coach Willie Desjardins. "I think we are skating pretty hard and maybe that is drawing [penalties]." Texas had goals from Tomas Vincour and Brenden Dillon on the power play. Francis Wathier and Alex Chiasson chipped in even-strength tallies in between. Cristopher Nilstorp picked up his first North American win in his first game. The tender stopped 18 of 19 shots against. "It was fun to play; I've not played in half a year now," said Nilstorp postgame. "The angles are a big difference. I've been here for a month now and trying to get used to it." Texas opened the scoring in the first period with a power play goal. After being ineffective on the first two power play chances they were granted, the third was the charm. A net mouth scramble saw Dov Grumet-Morris stop several point blank chances before Tomas Vincour knocked the puck into the net out of midair. The Stars finished the period with eight shots to San Antonio's five. Texas's offense picked up in the second period with a three goal outburst. Veterans Toby Petersen and Francis Wathier combined for the first of the period. Wathier whipped the puck past Dov Grumet-Morris after a bright drop pass from Toby Petersen at the right point. Not to be outdone, Alex Chiasson picked up his second of the preseason on another smart play from Taylor Vause, who had a very good night. Vause and Chiasson broke in to the zone two-on-one. Vause sent a pass in Chiasson's direction, which he managed to deflect into the net for the 3-0 score. Tyler Sloan had the second assist. "Chaisson is a big strong forward, heavy body to move," said Desjardins. "And he's got a great attitude." The final goal of the period came on the power play as Brenden Dillon bombed one past DGM clean from the right point. Petersen, also playing the point, slid the puck over the Dillon for the primary assist, and Morin had the secondary on the 4-0 goal. Goalie Nilstorp came on strong at the end of the second. Coach Desjardins noted, "He had a few chances [against] late in the second period that could have turned it, but he was solid." Texas would finally give one up in the third frame on the power play. Francis Wathier took a questionable goaltender interference call, and Drew Shore found twine from the high slot on the ensuing man advantage. Taylor Vause had a sneaky good night. I think his assist was a great play, but he played very well overall. He is making a solid case to stay. Toby Petersen left the game in the third period after taking a hit in the offensive zone. He did not return. Coach Desjardins had no comment on his condition after the game. 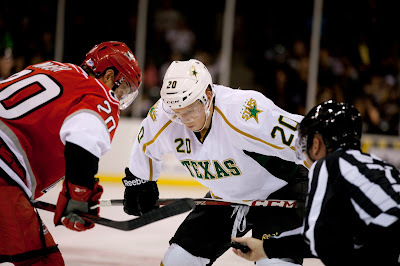 Texas's power play contributed four of a total seven goals on the night to overwhelm the Houston Aeros in preseason action by a final of 7-2. First star of the game, Francis Wathier, had two goals and two assists on the night. "We tried to move the puck a lot," said Wathier. "We're trying something different and it's working." Jack Campbell played the entire game and stopped 22 of 24 shots against. "There were a lot of good things," said Coach Desjardins. "We were lucky on the power play and that was the difference in the game." Jokingly, he added that the power play was working because "we haven't had time to screw it up yet." Texas also had success as they were able to roll four lines. "Clubs are going to be a little deeper [this season]," said assistant coach Doug Lidster. "So you're going to need your fourth liners to eat up minutes." In a first period with 26 minutes of penalties between the teams, Texas was the one that managed to capitalize on the opportunities. The club went 2/5 on the PP in the first. Colton Sceviour opened the scoring with a nice wrist shot from the left wing circle, assisted by Jordie Benn and Travis Morin. Houston answered back halfway through the period with a two-on-one goal finished off by veteran Aero Carson McMillan. 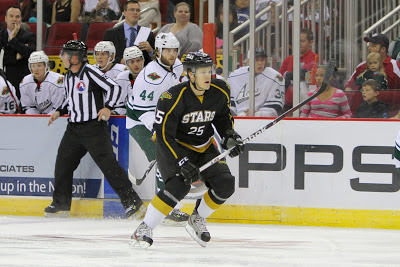 The Stars continued their power play mastery with another goal from Francis Wathier in the 12th minute of the period. A nice shot from the point man, Toby Petersen, was tipped up and over Darcy Kuemper to make it a 2-1 game. Jordie Benn picked up his second assist of the night on the play. The power play picked up right where it left off in the second as a 5-on-3 led to an easy tap-in goal by Mike Hedden on the back door. Morin and Wathier assisted on the play. The third period is where things got pretty out of hand for the Aeros as Texas extended their success to even-strength. Tomas Vincour opened that third period scoring with a great backdoor tap-in. Maxime Fortunus kept the puck in the zone at the left point to keep the play alive. Francis Wathier potted his second of the night just two minutes later, with a Chiasson shot-pass deflecting in off his skate. Cody Eakin scored his first goal as a Star just a minute later, finishing off a rebound on an opportunity where Fortunus recovered an errant Houston pass and took a shot. Brenden Dillon finished off the scoring in the game with a power play goal, Texas's fourth of the game, assisted by Wathier and Chiasson. Austin Smith had the first fight of the preseason, throwing down with Ryley Grantham in a short-lived bout at the end of the first period. Smith had just jumped over a player, clipping his head and drawing the ire of Grantham, who picked up an extra minor. Colton Sceviour left the game after blocking a shot in the first period. He did not return, and Coach Desjardins does not expect him to be 'out for a while'. Early indications point to a broken hand. Jace Coyle dressed for the game but did not play until the third period. Defense coach Doug Lidster indicated that this was an agreement between the teams to allow the dressing of an extra player. "Dressing an extra player puts a lot of stress on the team since you grow up used to six. Jace did a real good job with his ice time in the third."